The last several months have been complicated and troublesome for the International Criminal Court. The ICC has been heavily criticized for years and accused of being biased against Africans. While it is true that only Africans have been prosecuted so far, and 9 out of 10 situations currently under investigation come from Africa, the existence of an “anti-African bias” is not that evident. Five “African” situations were referred to the ICC by the governments of the respected states (Central African Republic I and II, Mali, Uganda, and Democratic Republic of Congo) and another two were referred by the United Nations Security Council (Libya and Darfur, Sudan). Also, only 4 out of 10 ongoing preliminary examinations concern African states. “of the eight countries qualified [by the authors] as representing the gravest situations only three ratified the Statute. The ICC is conducting investigations into two of them (DRC and Cote d’Ivoire) and preliminary investigations in one (Afghanistan). For five situations which can be considered to be amongst the gravest the ICC does not have jurisdiction unless the situation would be referred to it by the UNSC” (p. 35). Moreover, if only the top ten list of the gravest situations in the state parties to the Rome Statute is taken into consideration, the ICC is conducting investigations in four out of ten countries (DRC, Cote d’Ivoire, Uganda and CAR) and preliminary examinations in four more (Afghanistan, Burundi, Colombia and Guinea). The authors came to the conclusion that the ICC’s situations selection policy is adequate and based on objective criteria (situational gravity and jurisdictional limitations). Despite all of the above, many African leaders have criticized the ICC on numerous occasions. For instance, in 2009, the President of Sudan Omar al-Bashir, for whom the arrest warrant had been issued by the ICC Prosecutor, called the ICC a “colonial court”. In 2013, during his speech at the African Union summit, Kenya’s president Uhuru Kenyatta declared that “Western powers are the key drivers of the ICC process” and that “African sovereignty means nothing to the ICC and its patrons”. Tensions started to rise in 2015 when Omar al-Bashir had attended the African Union summit in Johannesburg. South Africa did not arrest and surrender him to the ICC despite the arrest warrant issued by the Court. It resulted in a formal non-cooperation proceeding at the ICC and a public hearing has taken place on 7 April 2017. The government of South Africa had faced conflicting obligations in this situation. On the one hand, it should comply with the Court’s order to arrest al-Bashir (an obligation under the Rome Statute); on the other hand, there is a diplomatic immunity of a head of state (an obligation under customary international law) . 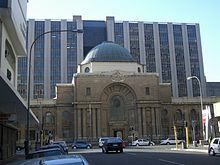 This situation was subject to South Africa’s High Court and Supreme Court of Appeal decisions claiming that the government’s failure to arrest al-Bashir was unconstitutional. Shortly after, the government announced that it may withdraw from the Rome Statute due to these conflicting obligations that may undermine the South Africa’s peace building efforts and its status as mediator on the continent. In 2016, the ICC vs. Africa conflict escalated when South Africa, Burundi and Gambia according to article 127 (1) of the Rome Statute notified the UN Secretary General of their decisions to withdraw from the Rome Statute on 19 October, 27 October, and 10 November 2016 respectively. African Union at its summit on 30-31 March 2017 welcomed the announced withdrawals and adopted an “ICC Withdrawal Strategy”, although several states opposed any moves for mass withdrawal from the Court (most vocal, Nigeria, Senegal, and Cape Verde). “A State Party may, by written notification addressed to the Secretary-General of the United Nations, withdraw from this Statute. The withdrawal shall take effect one year after the date of receipt of the notification, unless the notification specifies a later date”. According to it, South Africa would have effectively withdrawn from the ICC Statute on 19 October 2017, since the UN Secretary General received the declaration of withdrawal on 19 October 2016. Some relief for the ICC and the whole international justice project was brought by, to some extent, unexpected events. Firstly, the newly-elected President of Gambia, Adama Barrow, declared that he will revoke the withdrawal from the Rome Statute, and the UN Secretary General has been notified by the government of Gambia of its decision to rescind its notification of withdrawal on 10 February 2017. Later, on 22 February 2017, the South Africa’s High Court decided that the declaration of withdrawal was unconstitutional and invalid. The complaint on the government’s decision was brought by the Democratic Alliance, a political party in South Africa, which holds a second largest number of seats in the parliament after the ruling African National Congress. Later, the application was supported by the Council for the Advancement of the South African Constitution, South African Litigation Centre, Centre for Human Rights and the Helen Suzman Foundation, which joined the process as the supporting respondents, and by Professor John Dugard and Professor Guenael Mettraux, and Amnesty International Limited, which filed a notice to abide and took no part in the proceedings. Essentially, the case revolved around “the separation of powers between the national executive and parliament in international relations and treaty-making”. As the Court put it in its judgment, the main issue was “whether the national executive‘s power to conclude international treaties, also includes the power to give notice of withdrawal from international treaties without parliamentary approval”. Additionally, the Court had to decide “whether it is constitutionally permissible for the national executive to deliver a notice of withdrawal from an international treaty without first repealing the domestic law giving effect to such treaty”. South Africa ratified the Rome Statute on 27 November 2000 and on 16 August 2002 passed the Implementation Act, which created a legal framework for the cooperation with the ICC, effective implementation of the Rome Statute and a structure for the national prosecution of international crimes to bring perpetrators to justice, in domestic courts or in the ICC. The negotiating and signing of all international agreements is the responsibility of the national executive. An international agreement binds the Republic only after it has been approved by resolution in both the National Assembly and the National Council of Provinces, unless it is an agreement referred to in subsection (3). An international agreement of a technical, administrative or executive nature, or an agreement which does not require either ratification or accession, entered into by the national executive, binds the Republic without approval by the National Assembly and the National Council of Provinces, but must be tabled in the Assembly and the Council within a reasonable time. Any international agreement becomes law in the Republic when it is enacted into law by national legislation; but a self-executing provision of an agreement that has been approved by Parliament is law in the Republic unless it is inconsistent with the Constitution or an Act of Parliament. The Republic is bound by international agreements which were binding on the Republic when this Constitution took effect. It would have been unwise if the Constitution had given power to the executive to terminate international agreements, and thus terminate existing rights and obligations, without first obtaining the authority of parliament. That would have conferred legislative powers on the executive: a clear breach of the separation of powers and the rule of law. On this basis, too, the national executive thus does not have and was never intended to have the power to terminate existing international agreements without prior approval of parliament (p. 56). Based on these conclusions, the High Court ruled that the decision by the national executive to deliver the notice of withdrawal of South Africa from the Rome Statute of the ICC without prior parliamentary approval is unconstitutional and invalid (p. 77) and ordered the government respondents to revoke the notice of withdrawal (p. 79). It was initially unclear what would have been the next steps of the government and many scholars and experts predicted the government will seek the approval of the parliament.The government did not try to appeal the judgment and on 7 March 2017 revoked the declaration of withdrawal from the ICC citing as a reason the High Court’s judgment on the matter. On 14 March 2017 the government withdrew the ICC Repeal Bill from the parliament. While this is a major political win for the ICC and international justice project, it is yet unclear whether the South African government has abandoned plans to leave the ICC or the ICC Repeal Bill will be re-introduced to the parliament in the future. In any case, the High Court’s decision on the constitutionality of the Rome Statute withdrawal has already significantly influenced the relationship between the ICC and African states and provided an interesting example of the interplay between international and constitutional law. Rome Statute of the International Criminal Court adopted on 17 July 1998, United Nations Treaty Series, vol. 2187, p. 3. See more on government’s claims: pp. 37-40 of the Judgment. The Rome Statute of the International Criminal Court Repeal Bill was introduced to the parliament in late 2016.